Favourite pick, Jil Sander A/W 2012, pictures and following in courtesy of Style. Favourite pick, Costume National A/W 2012. 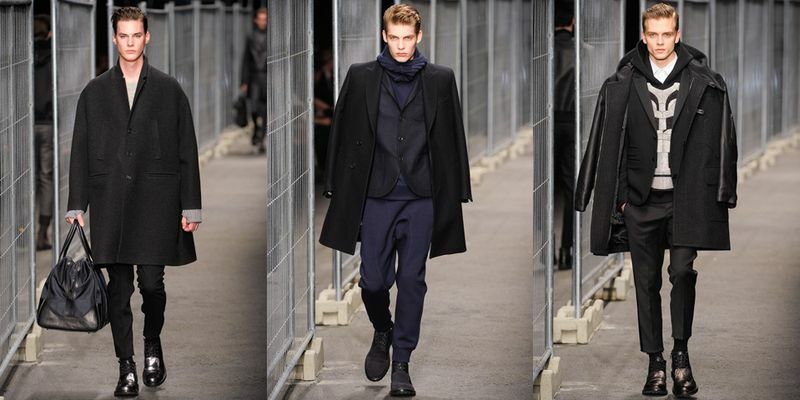 Favourite pick, Neil Barrett A/W 2012. 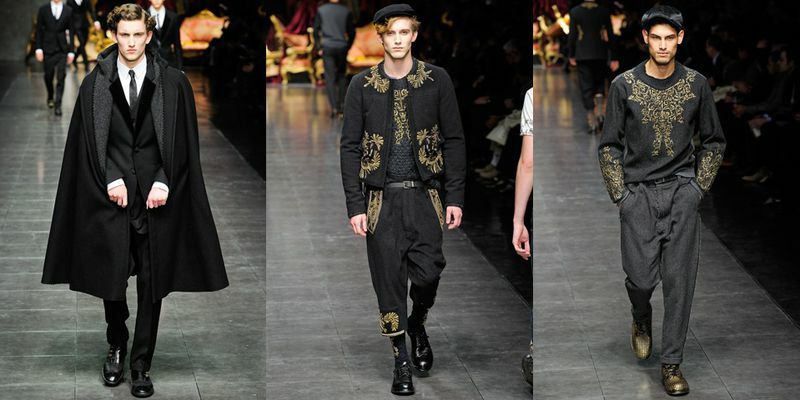 Favourite pick, Dolce & Gabbana A/W 2012. Favourite pick, Roberto Cavalli A/W 2012. 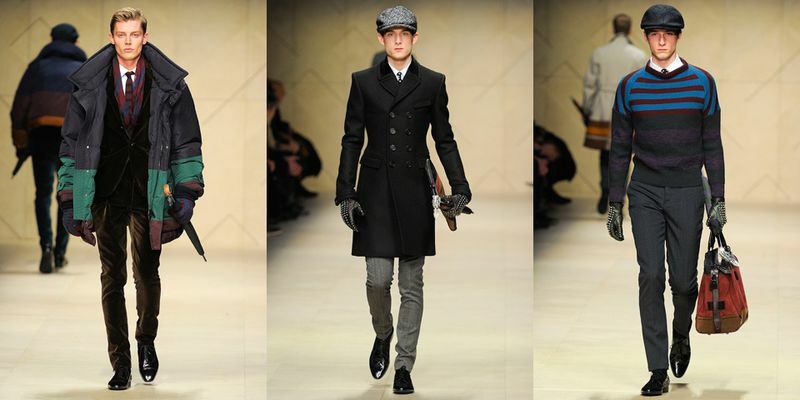 Favourite pick, Burberry Prorsum A/W 2012. Figured as the Men's Fashion Week in Milan started a few days ago, I would try to give a brief update on my favourites this far and a few words on what ties these together. From the top we can see Mr Raf's collection for Jil Sander, the first thing that catches the eye is obviously the daring leather, but also the fact that they are going back to black which is quite a change from the earlier seasons when they had the mainfocus on color-blocking. I really do like this new concept and it might seem abit tacky or fetisch to some, but it's so well tailored with those perfect fitted suit-jackets and narrow trousers that I could definietly see people wearing this next winter, without worrying about looking like a butcher or a random follower of a satanic cult, thumbs up! Costume National is definetly my personal favourite this far as they do have the best mix of what I like. Darker clean outfits with shades of black, grey, off-white and navy perfectly tied together with an interesting mix of fabrics, details and not to mention the accessories which I do love, look at those shoes! Dolce & Gabbana is actually shaping up quite a bit in comparison to earlier seasons, taking out the turns abit which I think is about time. I really do have to say that I like these embroided details and honestly for the first time I could see myself wearing quite a few things. Apparently the duo said that they got the main inspiration from family for this collection and Dolce's dad's tailored Tistera (Cape) was noteably a strong influence in the collection. Roberto Cavalli put's focus on a new take of the the traditional look. I have to say that I really do like this. 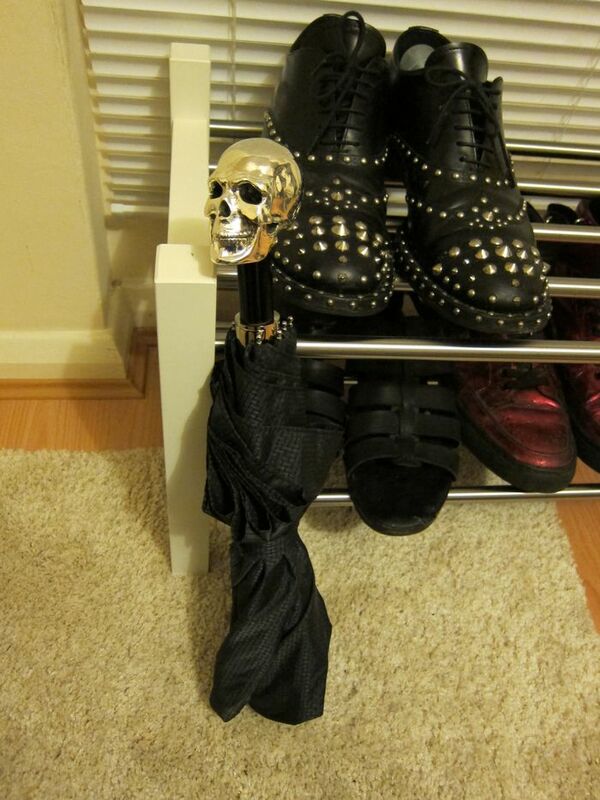 It's much less tacky and the things go very well together. The fact that he choose to throw some color in there is definetly not a bad thing either as most designers seem to go for a darker color palette for A/W 12. Even though I might not be a big fan of colors as I mostly wear black I do have to say that it works quite well for this slightly more sporty collection. As for Burberry Prorsum, Baily's collection is very much influenced by the English gentleman, in a mix of different varietys of fabrics and cuts. Not my cup of tea as what I would personally wear, but I do however love the look of the proper British gentleman, one outfit for each activity/hobby! As I work right next to Savile Row in London it's something that I luckily get to see every day and with loads of different interesting takes! I would like to point out that the almost all of the collections for A/W 12 is tied together by one detail, which is the dressed and tailored look, as seen on the pictures above. We can still see the double breasted suit-jacket from last season, more leather and a bigger focus on the accessories such as the Clutc which is seen everywhere, Backpacks, Gloves, Hats and in Burberry the Umbrella, which I've already picked up on from SS 12. 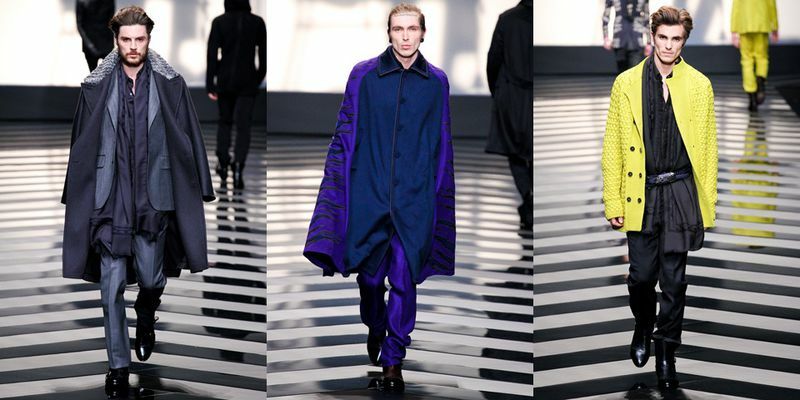 And last but not least, the Long-coat/Cape which is my favourite garment is definetly going to be a strong piece to finish off that perfect look for the next season!